Unlocking the Moto G Turbo bootloader is what is required if you want to install a custom recovery and get root access later down the track. These are the guidelines to unlock bootloader on Moto G Turbo smartphones using the command line. 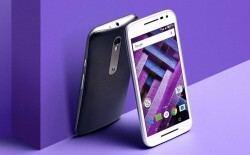 The following guide is made for the Motorola Moto G Turbo Edition only. Make sure you know you have the Turbo Edition in your hands and not the original Moto G or else these steps might not work. Download and install your ADB and Fastboot drivers  before starting the guide. The first step in the guide shows you how to set up ADB on your computer. You do not need to do that a second time if you already have it running. Nothing changes with the ADB and you can use it on many devices. The drivers from the link above should be installed again, even if you installed them last time just to make sure your computer is working with the drivers. Unlocking the bootloader on your Motorola Moto G Turbo smartphone will void the warranty you had going with the ‘Hello Moto’ company. You can get that warranty working again by re-locking the bootloader at any stage. Furthermore, you are voiding the warranty by flashing a custom recovery and rooting the device. You’ll need to unroot and flash a stock recovery back on the Moto G Turbo Edition before the warranty starts working again if you go ahead and do either of those two things. Start off by installing ADB on your computer. You will need a Windows PC to learn how to set up ADB on your computer  using our guide. There are other guides out there for you to follow if you need help settings up ADB on Linux or Mac computers. Boot the Motorola Moto G in bootloader mode by start with the device off and then holding the Volume Down for a few seconds, followed by the Power button. Now release both buttons after a having held them down for about a second together and you should see the bootloader mode on the display. Connect the Moto G Turbo smartphone to the computer with the USB cable. Open the ADB folder and hold the Shift key whilst right-clicking the mouse to bring up a new menu. Choose to open a new command window from that menu. That’s all you need to learn in order to know how to unlock the Motorola Moto G Turbo bootloader. You can choose to keep your command prompt open and flash a custom recovery on the Motorola Moto G Turbo Edition, or you can type “fastboot reboot” to get your device back into the normal mode so you can choose to install your recovery later. You will need to flash the custom recovery before you can root the device with the SupSU.